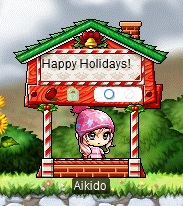 Cash Shop Update for December 20 | Dexless, Maplestory Guides and More! December 20 to December 26 in the Special Promotions > Discounted category in non-Reboot worlds only. December 20 to December 26 in the Special Promotions > Discounted category in both Reboot and non-Reboot worlds. Character slot expansions are discounted for a limited time! 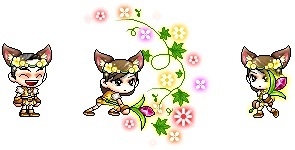 This is the best time to pick up an extra slot and create new character, Illium! Each coupon increases the character creation slot by 1. Your account may hold a maximum of 42 character slots per server world. You’ve got a pet. Now you can get a Pet Boost Package that contains pet food and lots of useful skills your pet can learn! This package is just what the new pet owner needs! December 20 to December 26 in the Special Promotions > Limited Time category in both Reboot and non-Reboot worlds. Show off your festive holiday spirit with this fancy permanent outfit! Put together a fun holiday outfit with these permanent items! Twelve Days of Beauty begins on December 25 with a special deal on 90-day fun effects! Pick up some cool effects to decorate your character. Double-click the icon or assign a hotkey to turn the effect on/off. You have until 11:59 PM Pacific on December 25 (2:59 AM EST / 8:59 AM CET / 6:59 PM AEDT on December 26) to purchase these items at a discount! Twelve Days of Beauty continues on December 26 with a special deal on Fusion Anvils and Medal Fusion Anvils! You have until 11:59 PM Pacific on December 26 (2:59 AM EST / 8:59 AM CET / 6:59 PM AEDT on December 27) to purchase these items at a discount! Take home a familiar too! Dark Lania Familiar, Orchid Familiar, Ergoth Familiar, Magnificent Murgoth Familiar, Warrior Lil' Murgoth Familiar, and Lucid Familiar are ready to join you in Maple World.